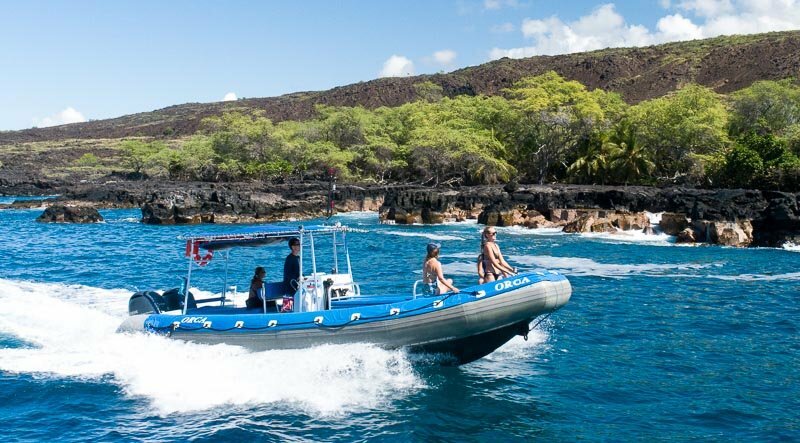 The Honu One is our spacious 46' Custom built Newton Dive Special for your diving or snorkel pleasure. A private charter includes up to three crew members. 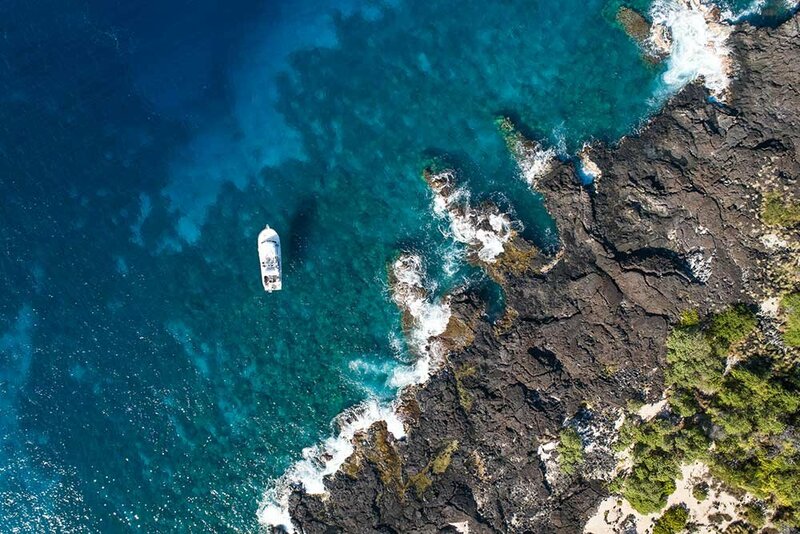 This could be 18 divers or up to 28 snorkelers. The Honu One has plenty of shade, a marine head, a hot water shower, and plenty of space to spread out and enjoy the charter. 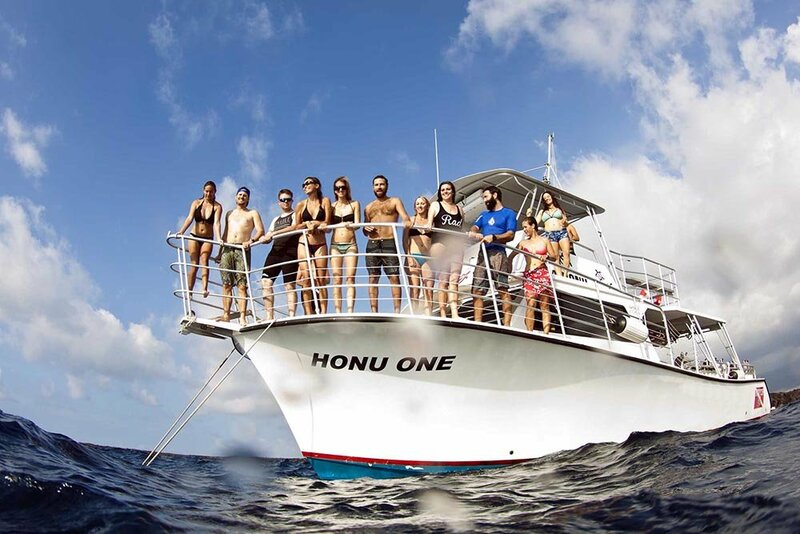 This is the perfect boat for a family reunion, wedding party, or dive group. Includes scuba equipment, fresh fruit, snacks, filtered water (cold and hot). A boxed lunch can be added for an additional fee of $15 per person. The Honu Lele is a 33ft World Cat fast 6-passenger vessel. She has plenty of shade, fresh water shower, and the ability to get you places quickly. This is a perfect option for those that want a special excursion for their friends and family. Since you have chartered the boat you have a wide variety of options to choose from. Call us to discuss ideas. Please note all private charters have a 7-day cancellation policy. 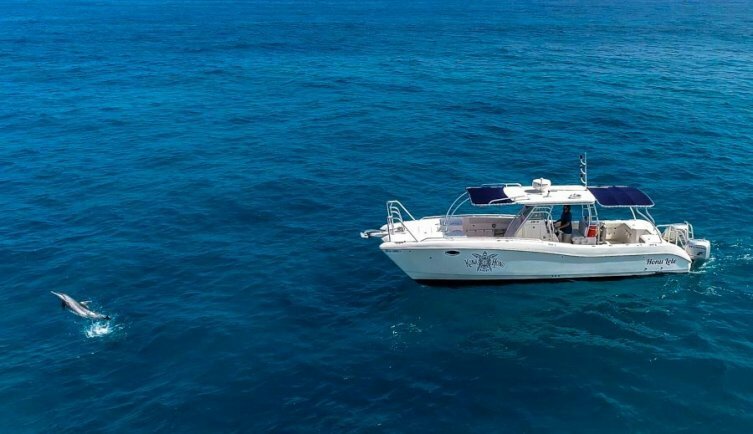 Hop aboard with friends and family and zip along the coast in the Orca a 27ft rigid hull inflatable with comfortable seating for 16 passengers. 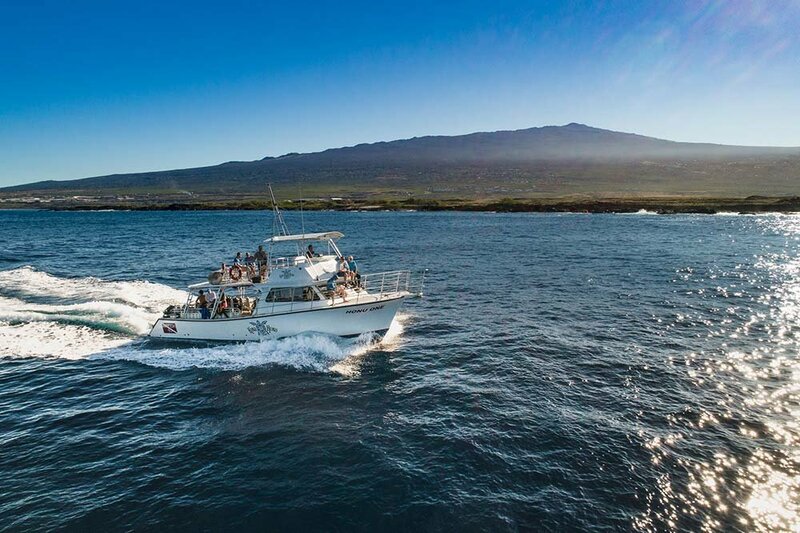 She is the perfect vessel for a family reunion or wedding party snorkeling excursion. 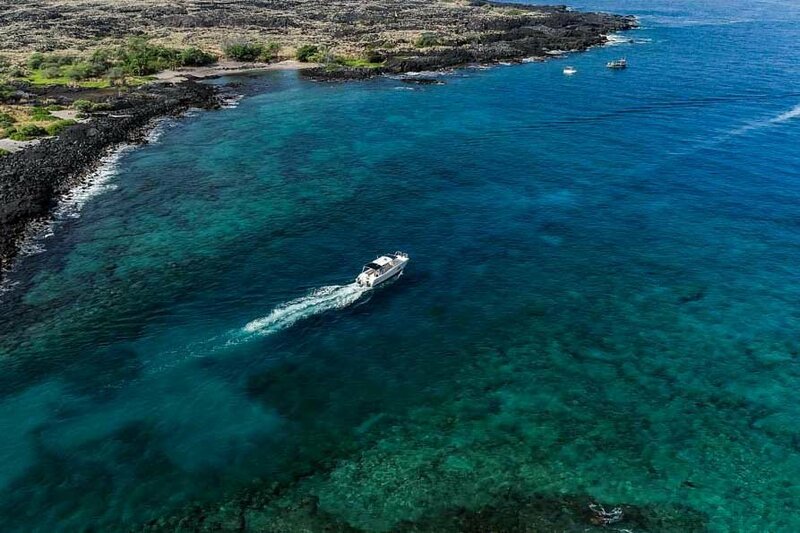 Head south to snorkel gorgeous Kealakekua Bay, home of the Captain Cook Monument, or head north to Makalwena for a morning of floating and sunning yourself on this remote beautiful white sand beach.